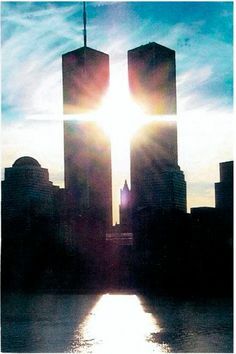 17 years ago is a day most of us will never forget. 4 planes, over 3 thousand lives. I ask everyone to please keep the families of the victims of the September 11th attacks in your prayers, I can only imagine how hard it is even still to this day. Yes, I remember it well, the shock, the fear, the uncertainty, the terrible images. My prayers are with all who were affected by that day and especially with the families of all the lives that were lost. May God grant healing peace to all who were affected. I remember that day like it was yesterday. Prayers for the families. I'll never forget that day. Prayers on the ascent for those who died so horribly, both in the crashes and during the aftermath. 17 years isn't long enough to get those images out of my head. Boy do I ever remember. I thought our country was under attack by another country! When I first saw the tv I thought it was a movie and then after all channels were replaying the planes running into the twin towers I realized it was real and then got panicky.